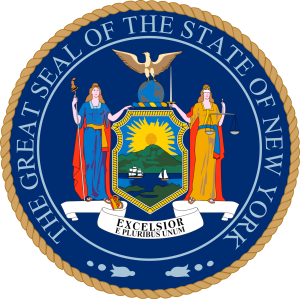 In New York Vehicle and Traffic Law Sections 509 and 511 cover requirements for your New York State license and driver’s license violations. The first thing that any driver should consider before getting behind the wheel while their license is suspended is that they are committing a crime in the State of New York. It is not just a traffic offense to lightly dismiss; it is a crime that you can go to jail for and if convicted you will have a permanent criminal record. In New York, driving while your license is suspended or revoked is called “Aggravated Unlicensed Operation” (AUO) and is divided in three separate categories depending on the severity of the offense. A 3rd degree AUO is the least serious of the three and a 1st degree AUO is the most serious offense for driving while suspended. A 1st degree AUO is a felony offense with possible prison time of over a year, and the other two AUO degrees are classified as misdemeanor crimes which will also result in a permanent criminal record in NY but carry lesser penalties than AUO 1st Degree. AUO in the 2nd Degree covers a wider range of infractions including prior license suspensions, alcohol infractions, repeat violations, and failing to pay fines or appear in court. The penalties include fines ranging from $500-$1,000, and jail time that can be no longer than 6 months or 180 days. The judge has discretion to issue probation as well. AUO in the 1st degree is the most serious of the ‘unlicensed operation’ charges and is classified as a felony. This offense usually requires operating a motor vehicle while under the influence of drugs or alcohol, along with a previous 2nd degree AUO. Penalties include fines not less than $500 and not more than $5,000, indefinite prison sentence depending on sentencing guidelines. Why Should I Consult With An Attorney If I Am Charged With Driving While Suspended? New York vigorously enforces VTL-511, so make sure that your license was not suspended before taking you get behind the wheel. It’s important that you try not to handle this matter on your own as there is much at risk, including your freedom. Driving while your license is suspended or revoked is a criminal misdemeanor, and can also result in felony charges. Consulting with an experienced traffic and criminal defense attorney is your best option in making sure your rights are protected and that you get the best outcome in your case. An attorney can also explain the legal process and help prepare a solid defense to help you fight the charges. A seatbelt ticket – for an adult – is approximately $150.